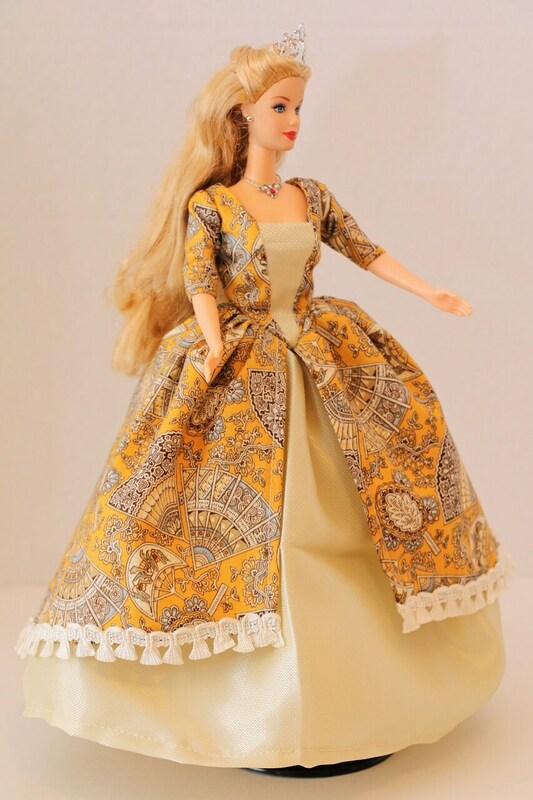 This Barbie dress set comes with a gold overskirt covered in fans and underskirt made for 11 1/2" dolls, like Barbie dolls, and have velcro closures. - A gold overskirt covered in fans and vined flowers outlined in cream all filled in with light blue and shades of brown. A cream, fan-like trim on the bottom of the overskirt. 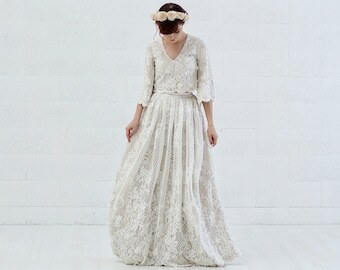 - An ivory textured underskirt lined with tulle.